Comfort, style, and upscale materials: Boardsports socks offer the full package, plus attractive margins for retailers. Watch the key trends in our 2019 Buyers Guide by Boardsport SOURCE skateboarding editor Dirk Vogel. Going into 2019, price points remain stable with entry-level and fun socks starting as low as €9.95 in retail, while Many Mornings offers kids and low-cut socks at €5.99. Advanced snowboard socks with longer cuts and elaborate materials crystallize around a €19.95 price point, while upscale materializations like Merino wool can run up to €29.95 per pair. Several Europe-based brands are shaking up the category, including Polish brand Many Mornings, American Socks – based and produced in Barcelona, Spain – as well as Stinky Socks out of Bulgaria. “We are only producing socks, so we do focus on getting the best product out there,” said Stinky Socks owner Risto Petkov. Next season’s boardsports socks crank up the volume with loud all-over prints applied via advanced digital printing. Standouts include ‘sticker wars’ logos and Hawaiian flowers (HUF), Japanese-style kittens and kabuki masks (American Socks), monograms and cartoon icons (Stinky Socks), plus fluffy Alpacas and Mexican ‘Day of the Dead’-style skulls (Many Mornings). 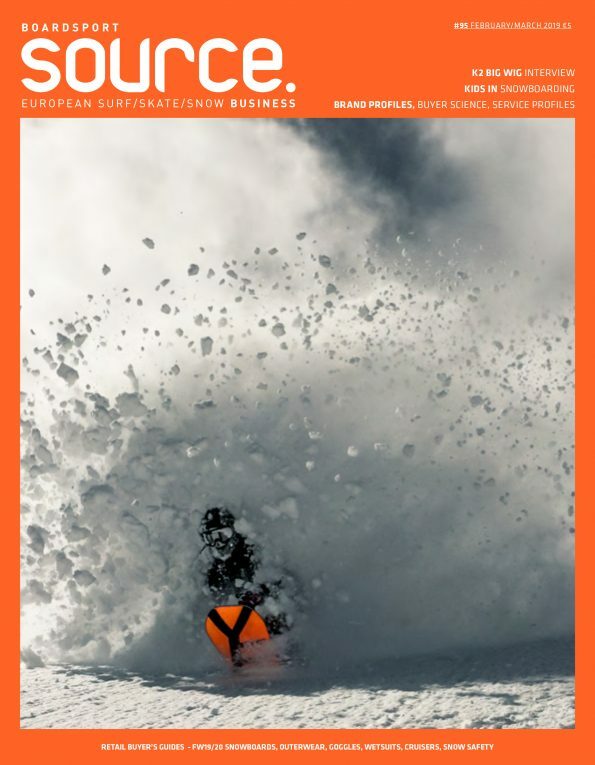 “Our brand campaign Uncover the Uncommon continues to celebrate human originality across all boardsports,” said Laura Fairweather, EMEA Marketing at Stance. Smartwool introduces art by Brian Iguchi as part of the ‘Art of the Outdoors’ collaboration. As the icing on the cake, most brands now add their logo on the upper calf. Loud prints are only half of the story in 2019, as leading brands mash up fabric treatments such as tie-dye or gradient-dye with layered graphics on top. The crew at HUF is taking their signature weed-pattern to a new level by layering the ‘Plantlife’ motif over psychedelic dyes and aloha flower graphics. 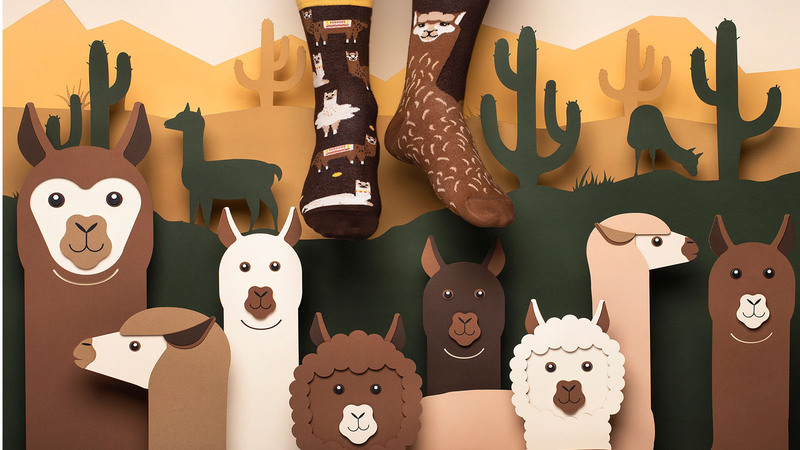 American Socks is playing the mash-up trend with comic book line-art graphics by Australian artist Mulga on patterned fabric, while Smartwool layers mountain scapes over melange fabrics. For the ultimate mash-up, Many Mornings makes mismatched socks – two different socks in a pair – their calling card. The sneaker industry’s hot trend for ubiquitous ‘LETTERING’ in bold type – started by artist/designer Virgil Abloh – is spilling into the socks segment. Look out for unicoloured knit socks contrasted by slogans in white or black typeface by brands such as HUF, Homeboy, Head, and Stinky. Smartwool became the first brand to master prints on a Merino wool-blend base in 2018 and announced plenty of lifestyle socks for 2019. Performance-minded brands have reengineered constructions from the ground up. Simon at Smartwool is stoked on, “specific fits for men and for women, body-mapped mesh ventilation zones, Indestructawool reinforced high-abrasion points, a Virtually Seamless toe, and 4-Degree Elite Fit System that has elastic in four strategic areas to keep socks in place.” Smartwool also offers different fits in their PhD Snow Socks for ski and snowboard boots. 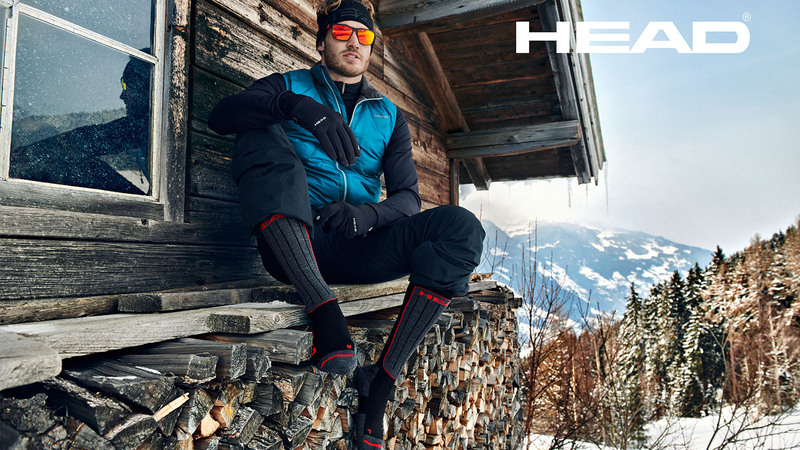 All HEAD ski socks feature arch support to keep socks from slipping, plus a cushioned sole for shock absorption; technical models offer protection of key pressure points and air channels. Ortovox Merino Ski compression socks have an elasticated double stretch cuff for a non-slip fit plus some ventilation. Socks offer the perfect canvas for creative brand collaborations and Stinky socks is upping the ante by teaming up with Method Magazine, Boreal Mountain, and snowboard icon Chris Bradshaw this coming season. Stance is teaming up with Disney and Star Wars. Smartwool continues the successful collab with Vans and also tapped snowboard legend Brian Iguchi and snowboard nomad Chris Benchetler for their PhD Snow socks collection. Stance works with mountain man Jimmy Chin on the Ski Ultralight Merino and is spreading some love to core shops with the Insider sock for store staff only. One more thing: Despite all these new trends, good old tube socks with bold horizontal stripes – a staple in skateboarding attire since the mid-1970s – remain relevant, especially in the women’s segment. Make sure to catch the classic athletic styles by Homeboy, HUF, Stinky, as well as the Stance Ishod Wair crew sock and a cool rainbow-striped version by American Socks. Performance-oriented companies such as HEAD and Ortovox create an aesthetic with brand signage next to geometric designs. With that said, boardsports socks offer something for everybody these days.